Inexpensive steak + onions + time in the oven = one tasty meal. My mom used to make Swiss steak every so often, and even though I was a picky no-onion eater at the time, I still loved it. She really only used salt, pepper, and onions, but today I adapted Alton Brown's recipe from FoodNetwork.com. My husband enjoyed this meal so much he told me about three times what a great meal it was. He's usually complimentary, but not this complimentary. 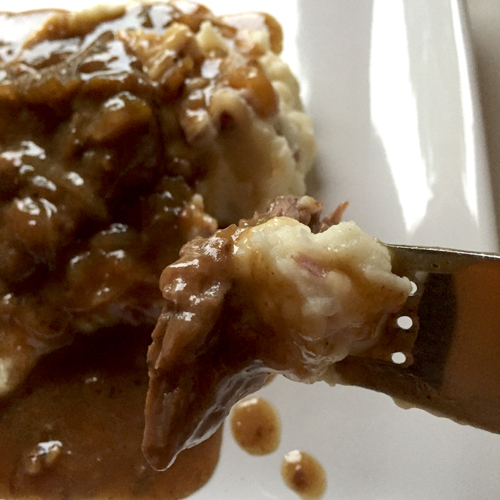 Besides tender beefiness, one of the beautiful things about this recipe is that it creates its own gravy as it cooks in the oven. 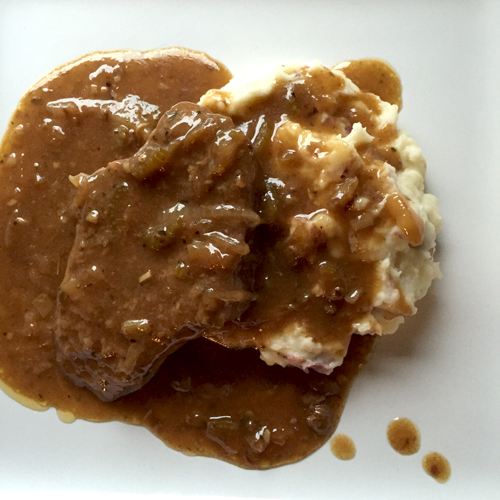 The gravy is thick and beefy with lots of flavorful onions and celery cooked down to melt-in-your mouth excellence. I may have added a little too much salt to mine, but when it was paired with the mashed potatoes, the beef and gravy tasted perfectly seasoned. This may not be a super quick meal, but it is easy, delicious, and satisfying. Prepare the onions, celery and garlic. Set aside. Cut the steak into smaller steaks about 5-6 inches across. Place steak pieces on a cutting mat or surface you use for raw meat. Salt and pepper both sides and then using a meat tenderizing mallet pound each piece to about 1/2 an inch thickness. Be sure to pound on both sides of each piece of steak. Dredge each piece of steak on both sides in the flour. Heat about 3 tablespoons of oil in a Dutch oven over medium high heat. When oil is hot, carefully place steak into the pan taking care not to crowd. You will probably need to brown the steak in two batches, adding oil between batches. When each steak is browned on each side, move to a plate to wait. 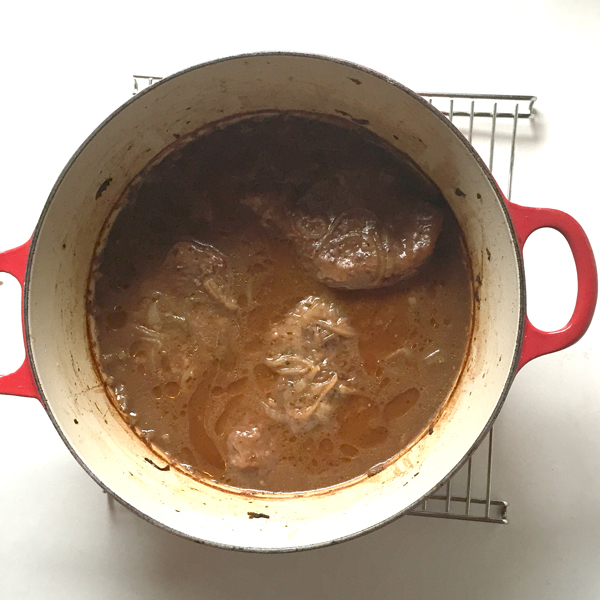 When all meat has been browned, add the onions, celery and garlic to the pan (Dutch oven). Stir veggies and cook just long enough until they start to wilt. Add paprika and oregano and stir. Pour in the beef broth and stir. Add the meat back into the Dutch oven, making sure you cover the meat with the veggies and liquid. Place cover on Dutch oven and place in the oven. Bake at 325 degrees for about 1 1/2 to 2 hours or until meat is very tender. This looks amazing!! I don't have a dutch oven, so do you think it would work better to put it in the crockpot on high or a glass dish in the oven? Thanks.